and wildly romantic winter landscapes. 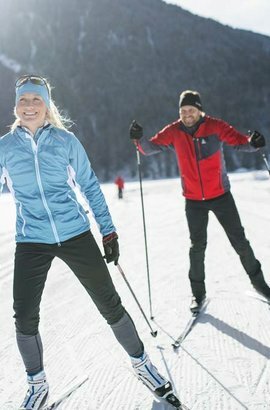 50 km of groomed cross-country skiing trails, 40 km of signposted and cleared winter walking and winter running trails promise a perfect holiday. 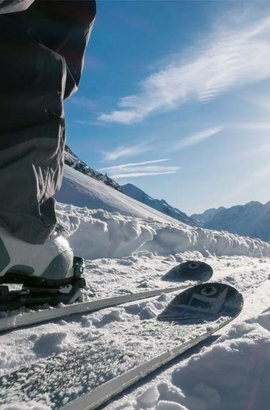 Ranging from small and family-friendly to sporty and top modern - one of our 6 ski areas within the valley will definitely be the right spot. 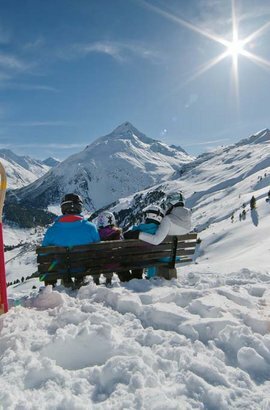 Expert skiers head for the most attractive slopes of Sölden and Obergurgl-Hochgurgl which can be easily reached with the free skibus shuttles. 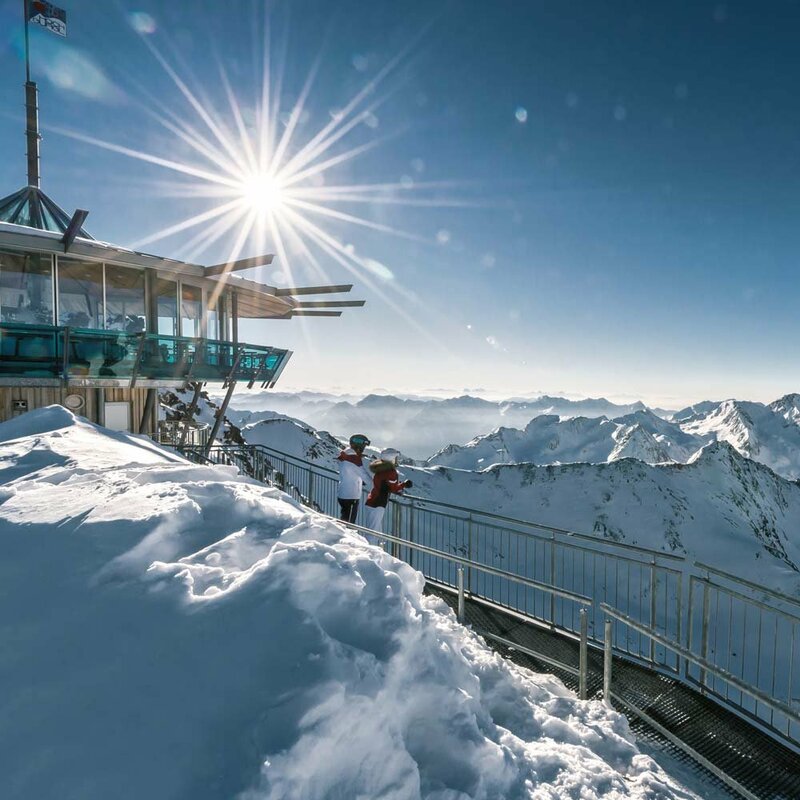 Indulge in the magnificent panoramic view and breathtaking mountain panorama on the BIG3 viewing platforms in Sölden or discover pure high-altitude feeling at the Top Mountain Star in Hochgurgl. Thanks to the new Ötztal Super Skipass - which is available if you purchase a lift ticket for 3 or more days - you can choose from all 6 ski mountains in the valley without any restrictions. Special Gamskogelblick winter tips for you. Gliding silently through the snow-covered natural landscape, following your very own rhythm on numerous perfectly groomed trails. Speedy downhill rides, fun factor guaranteed. In Längenfeld 4 toboggan runs on a total length of 18.5 kilometers ensure great fun for tobogganists of all ages. 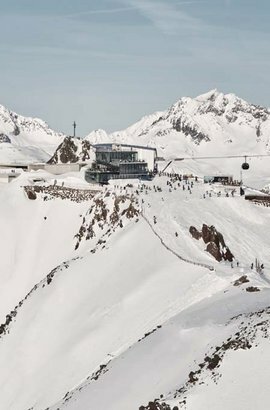 144 slope kilometers for all skill levels, 31 state-of-the-art mountain lifts and absolute snow reliability from October to May make Sölden's ski area a unique experience. 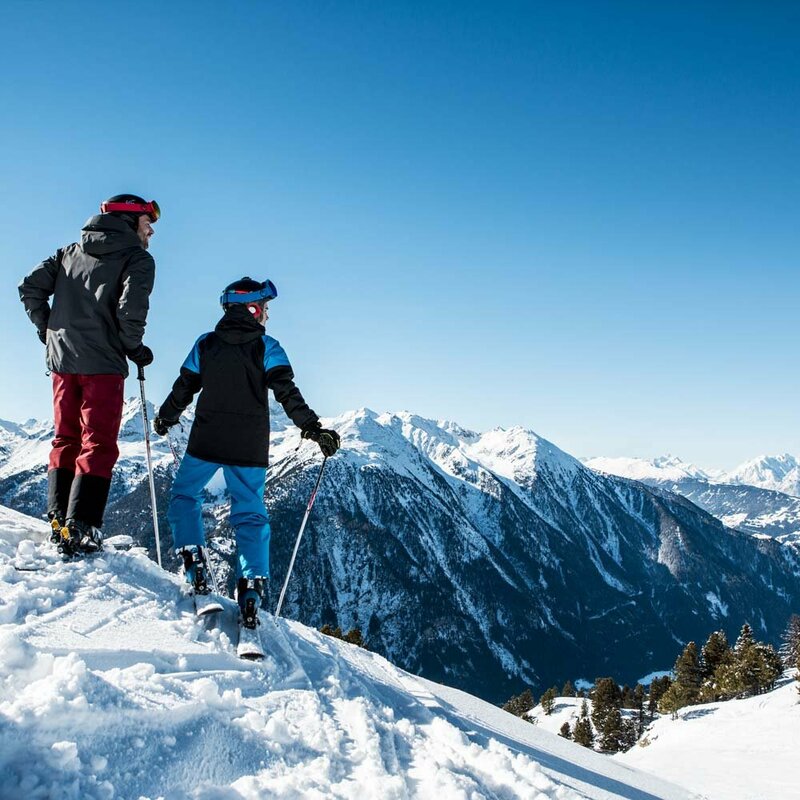 Experience the most beautiful summit conquests and the most enjoyable corn and deep snow downhill adventures amidst the untouched nature of the Ötztal Alps. 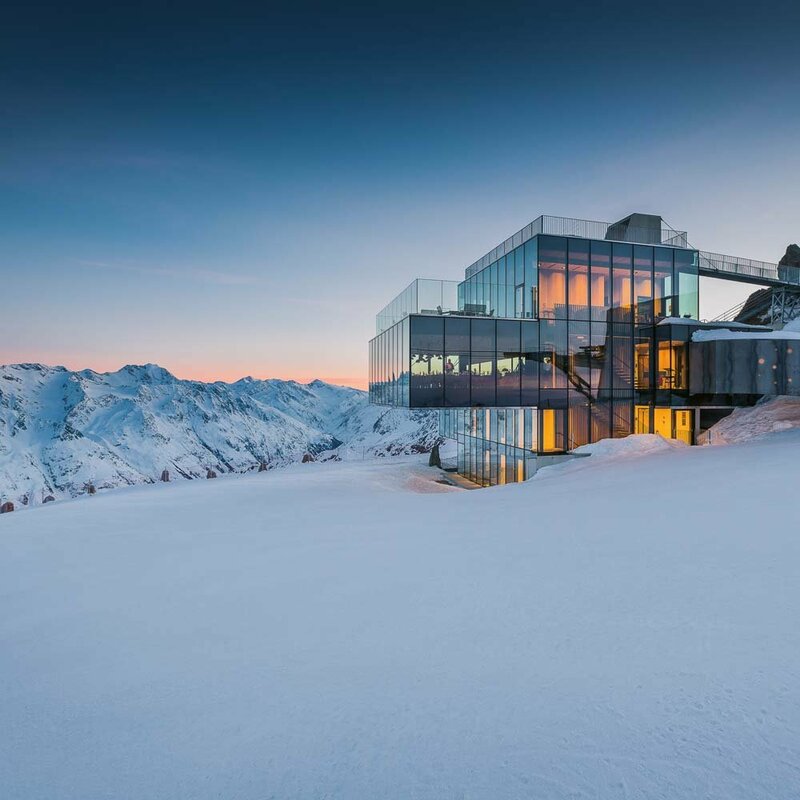 Experience the 007 ELEMENTS cinematic installation beyond 3000 meters above sea level at the peak of Gaislachkogl. Here you should also visit the ice Q gourmet restaurant with a large panoramic terrace. 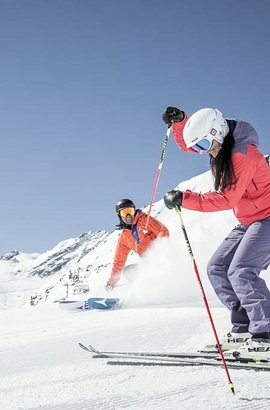 The Ötztal Super Skipass (available if you purchase of a 3-day skipass) bundles 356 slope kilometers, 90 mountain lifts and 6 ski areas in one ticket. & therefore at the Best Price!